Porcine epidemic diarrhea virus (PEDV) is prevalent in most parts of the world. Owing to its antigenic variation, prevention of the diseases caused by this virus is difficult. In this study, two PEDV isolates with similar growth kinetics were successfully propagated in Vero cells. Complete genome sequence analysis showed that they have a 49nt deletion in the ORF3 gene and were classified into Group 1, the same group that includes the classical CV777 strain. Recombination analysis revealed that the event had occurred in the ORF1a gene, at 3596–6819 nt, among the two PEDV isolates and the CV777 and DR13 strains. During their continuous propagation, 14 nonsynonymous mutations occurred in the spike (S) gene of strain JS-2/2014 between generations G5 and G90, but there were no changes between G90 and G100. We assumed that strain JS-2/2014 might be attenuated by the 90th generation. Piglets orally fed with JS-2/2014 G90 showed no clinical symptoms, and no virus was detected in the feces and nasal fluid. 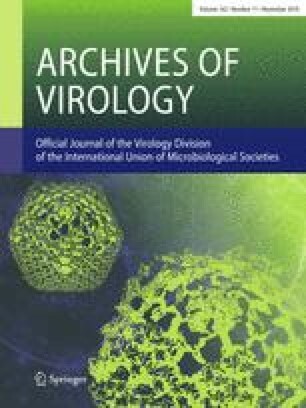 In conclusion, JS-2/2014 was successfully identified by screening, was attenuated after propagation in Vero cells, and may serve as a candidate virus for vaccine preparations. This study was funded by the National Key Research and Development Program of China (No. 2018YFD0500100), Shanghai Agriculture Applied Technology Development Program of China (No.T20170111), and the Youth Talent Development Plan of Shanghai Municipal Agricultural System of China (No. 20160135). There are no conflicts of interest associated with this article. All applicable international, national, and/or institutional guidelines for the care and use of animals were followed. Furthermore, this article does not contain any experiments with human subjects or animals performed by any of the authors.